One of my favorite things to do with my students is enjoy quality books together, especially picture books. When the perfect combination of illustration and text finds its way into my classroom magical things happen. 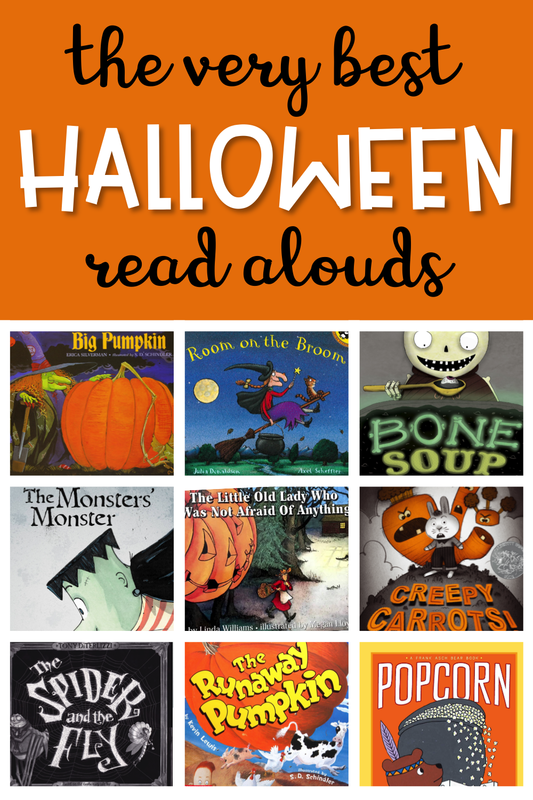 Here are my top ten Halloween picture books that we enjoy all month long in my classroom. Some are old, some are new, every one is fabulous. This is my all-time favorite! 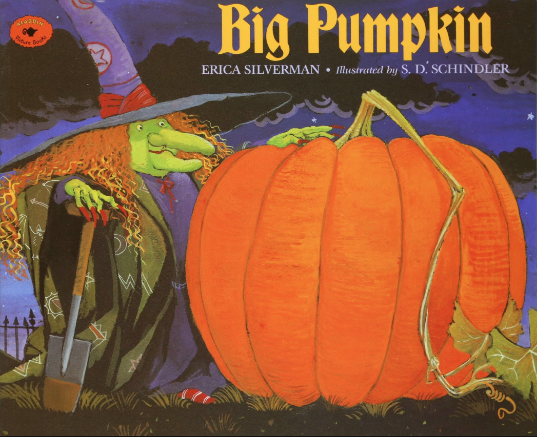 Tells the story of a witch wanting to make pumpkin pie on Halloween night. She has a little trouble getting the pumpkin off the vine and a few creepy friends are enlisted to help in the cause. 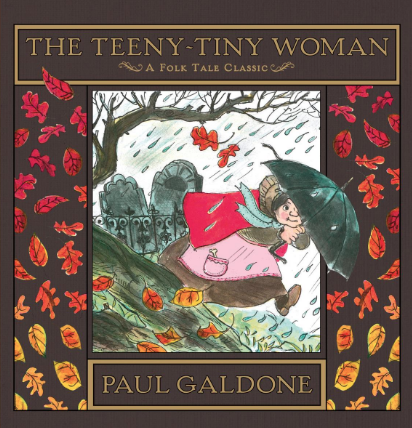 A fabulous musical recording of this book is also out there (here). This is a classic and one students always enjoy. The little old lady is walking through her forest when she sees and hears some pretty scary things. 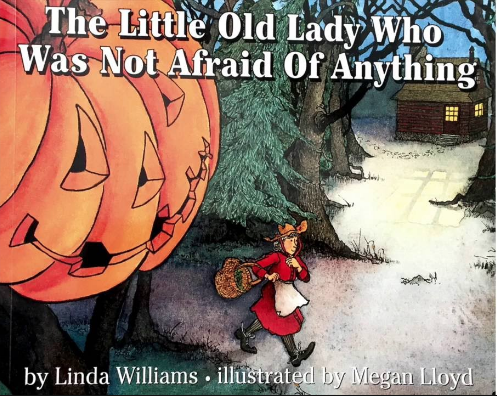 This read aloud can be very interactive if you make up actions and sounds to go with each of the objects the little old lady encounters. This is from one of the greatest author/illustrator duos out there and is full of delightful rhyming. A more lighthearted Halloween book, this story lends itself well to a discussion on plot sequence. You can always follow up or do a compare/contrast with the movie too! A darling animated version of this is currently available on Netflix. A thumpin' bumpin' good book! 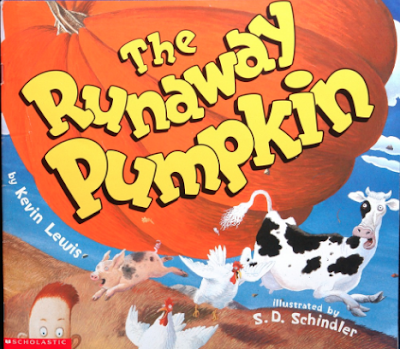 Buck and Billy Baxter and their little sister Lil accidentally send a giant pumpkin rolling down the hillside. 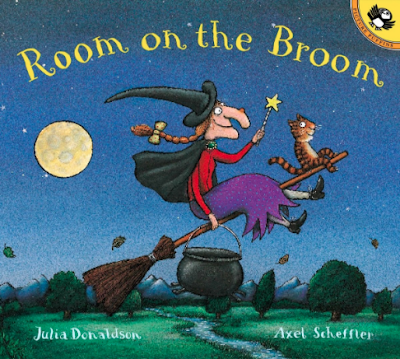 This book is full of delightful rhymes and is so fun to read aloud. Also illustrated by S.D. Schindler (of Big Pumpkin fame,) this is a must-read for Halloween time! In fact, I've read it three times already this month! 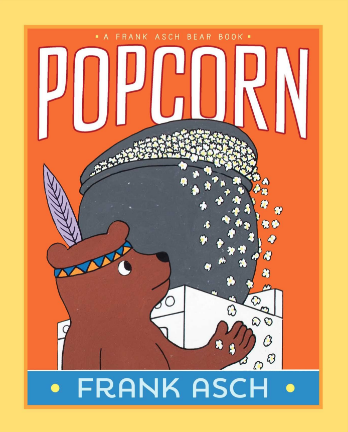 This may be lesser-known, but it has always been a favorite with my students. Sam the Bear decides to have a Halloween party while his parents are out and things start popping out of control! I love using this book to discuss story elements such as character, setting, problem, and solution. Your students will be utterly engaged as they watch Sam's predicament unfold. I always look forward to reading this one to my students. Most of them have not heard it before, though most adults would probably recognize this old poem. 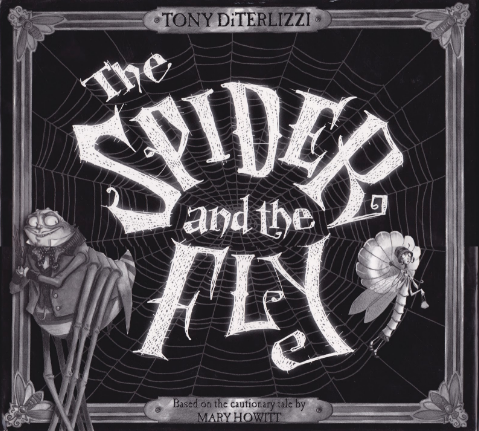 "Will you walk into my parlor, said the spider to the fly..." I love this 2002 edition because of the fantastic illustrations by Tony DiTerlizzi. Spooky and detailed, your kids will be intrigued, if not a little bit spooked, by this book. Okay, this book. This is one that goes way back and I remember it being read to me when I was very little. 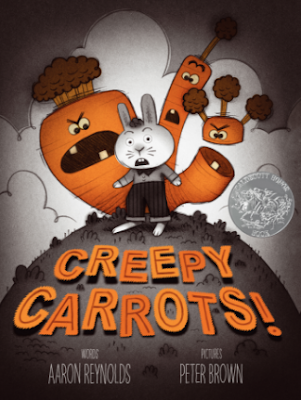 It has just the right amount of suspense and creepiness that keeps kiddos engaged (but not horrifically terrified). Bonus points if you do a spooky voice for the ghost! I just read this book with my students today and, like The Teeny Tiny Woman, you've got a perfect blend of kid-appropriate suspense and creepiness. This is great for exploring main idea, key details, asking and answering questions, and making predictions. 2013 Caldecott Medal winner, your kids will definitely love this one! I promise. One of my favorite things about this book is the illustrations. They have a classic feel, but still maintain a unique and slightly sinister cuteness. 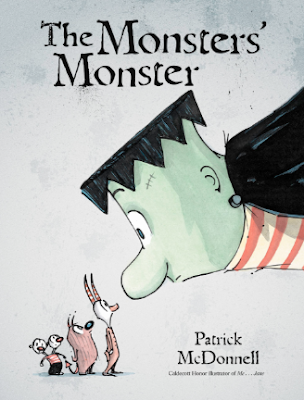 This book is fresh and fun and ties in the whole Halloween feel with a good message about gratitude and friendship. 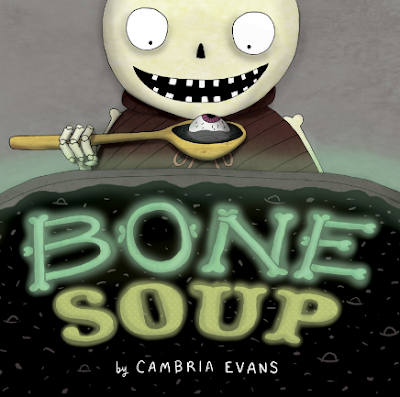 A fun take on the classic tale of Stone Soup, this awesome read aloud is definitely a crowd-pleaser amongst the kiddo set. Finnigin the skeleton is known for his appetite and is in search of something to relinquish his hunger. Witty and cute, make sure you check this one out!